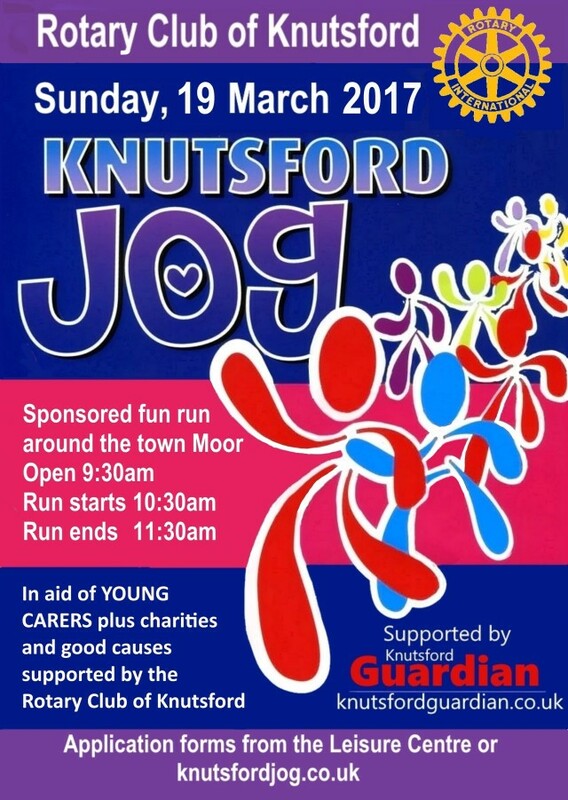 The Annual Knutsford Rotary Charity Jog is back this March, around the outside of our beloved Knutsford Moor. This event has been going for many years now, and must have raised many thousands of pounds for good causes. We’re delighted to be supporting them this year. We’ll have a marquee on the car park, and some of our committee will be taking part in the jog, so do come along and say say hi. And if you can, consider sponsoring one of our joggers. You can take part too. You don’t need to jog or run if you don’t want to, you can walk, as many people do. Funds raised can also be split 50/50 between the Rotary’s nominated charity, and your own good cause, whether that be a charity, your school or other organisation. The Rotary charity this is, Young Carers who are supported by the Cheshire East CarersTrust4All charity. If you’d like to take part, visit this website, download an entry form, start fund raising and we’ll see you on the car park at the back of the Moor on Sunday 19th March. Registration starts at 9.30am, with the event starting at 10.30am, finishing by 11.30am. Just try to do as many laps as you can, at your own pace, and raise some money for local causes.